When will be Celebrity Advice Bureau next episode air date? Is Celebrity Advice Bureau renewed or cancelled? Where to countdown Celebrity Advice Bureau air dates? Is Celebrity Advice Bureau worth watching? It's said that a problem shared is a problem halved. Celebrity Advice Bureau (3x60'), W's brand new three part UKTV Original series from Voltage TV, will test that theory as a star-studded cast of celebrities are put to work as agony aunts and uncles. They'll try and solve problems ranging from the everyday to the downright bizarre. 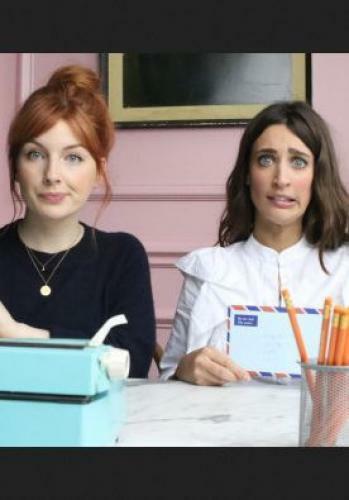 Drawing on their personal experiences of disguising killer hangovers, changing dirty nappies at 3am and seeking revenge on cheating boyfriends the celebrities in the advice bureau will show themselves to be as flawed and as frank as the rest of the viewing public as they weigh-up each dilemma.With a cast that includes Rick Edwards, Alice Levine and Laura Jackson, David Baddiel, Ellie Taylor and Matt Richardson, Fay Ripley, Louis Walsh, Ricky Tomlinson, Roisin Conaty, plus Richard and Chloe Madeley the advice that the bureau dishes out could be wise, poignant or just plain bonkers. Either way it is guaranteed to be hilarious. Entertaining series in which celebrity advisors, including Louis Walsh, Fay Ripley, David Baddiel and Rick Edwards, offer their best advice for daily dilemmas. Celebrity Advice Bureau next episode air date provides TVMaze for you. EpisoDate.com is your TV show guide to Countdown Celebrity Advice Bureau Episode Air Dates and to stay in touch with Celebrity Advice Bureau next episode Air Date and your others favorite TV Shows. Add the shows you like to a "Watchlist" and let the site take it from there.